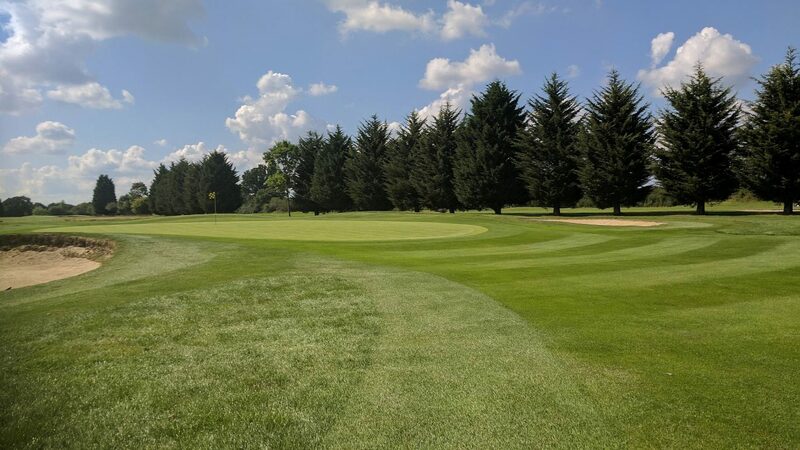 Bird Hills Golf Centre is conveniently located just off Junction 8/9 of the M4 in Berkshire’s picturesque countryside between Bracknell and Maidenhead. The 18-hole par 72 course is around 6,200 yards in length, with open fairways, plenty of water hazards and well-placed bunkers. It is carefully designed to provide an enjoyable round of golf for every level of golfer. Open to the public 7 days a week, daily green fees are available as well as membership packages including Handicap, 7 day, 5 day and Juniors. There is a 34-bay floodlit driving range and practice bunker along with a large 9 hole putting green. Visit our website to see our great driving range deals and online booking facility. Bird Hills Golf Academy runs an extensive timetable of expert tuition throughout the week and has the added benefit of GC Quad and GC-HMT launch monitors. There is an American Golf Retail store on the premises which stocks all major brands and operates a superb club fitting service. Additionally, the friendly Clubhouse has a large sunny terrace overlooking the golf course with a great social calendar of events including live bands. We offer friendly service, great food with an extensive bar menu, separate children’s menu and Sunday Carvery. Venue hire is also available for weddings, parties and family celebrations. From £21 per person and the organiser can play for free in groups of 16 or over. Our popular Winter package is £28pp and includes coffee and bacon roll, 18 holes of golf, lunch and one drink. Available for the individual player as well as group bookings. Bird Hills Golf Centre is conveniently located just off Junction 8/9 of the M4. Seasonal Green Fees - see website for details. Please contact club for recommendations. • 34 bay driving range.